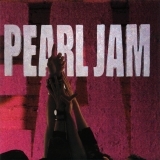 Ten is ranked as the best album by Pearl Jam. Members who like this album also like: Nevermind by Nirvana, The Bends by Radiohead and Doolittle by Pixies. Related links: top tracks by Pearl Jamtop tracks of the 1990s, top tracks of 1991. Showing latest 5 ratings for this album. | Show all 1,901 ratings for this album. This album is good, but it's not THAT good. Why is this above Temple of the Dog, Badmotorfinger, and Spiderland in 1991? Also, they should have kept it ten songs like the album is named (Deep is very, very skippable). Uma dos maiores álbuns de todos! Incrível! This album is an easy listen, and with a lot of great tracks although its biggest weakness seems to be that many of the songs sort of become boring pretty quickly. Songs like 'Black', 'Jeremy', 'Alive' are not worth more than 4-5 listens. 'Once', 'Even Flow' and 'Release' are the ones that survive the test of time imo. -'Deep' intro sounds so Alice in Chains. Maybe this album's sound has been ruined by crappy imitators of Eddie Vedder (@ Scott Stapp), but then again maybe it just isn't that good since it is so easily appropriated. I did not listen to the album for more than 20 years until I recently found a copy of "Ten" on an old TDK MA110 tape. I am surprised to like it more than I thought. There are so many great tracks and the audio quality is stunning. I prefer the original mix to the "Ten Redux" edition. "Ten Redux" sounds cleaner and brings more attention to the guitars but the rather quiet sound of the original "Ten" recording with more focus on the vocals still has it's special charm. Eddie Vedder is a lyrical genius. Pearl Jam manages to make an aggresive grunge album, while still touching you in a way that a slow,sentimental album does. After first listen you'll never forget it again. Probably the most memorable album of the 90s to me and the best album lyrically in the 90s. Excellent Grunge masterpiece. Stood the test of time. Always come back to this album for another listen.